The free access to and the proactive provision of information and governmental data contribute substantially to increased transparency, the facilitation of participation and an increase in quality and efficiency. In addition, data is a valuable resource if it is refined by commerce and industry through processing and provision for everyone’s benefit. 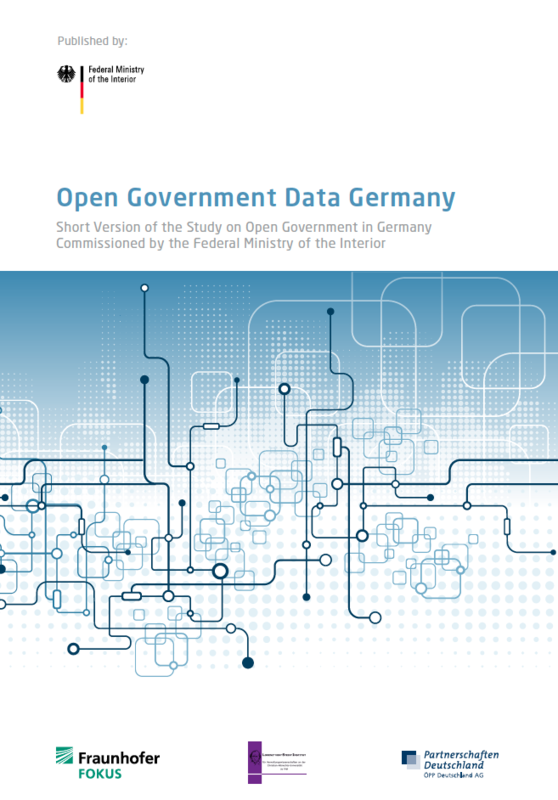 On this basis, the German Federal Ministry of the Interior has commissioned a study concerning Open Government Data from January to the middle of 2012 and, as an option, the subsequent realisation of a prototype of an Open Government data platform. It is the goal of the project to provide decision makers from politics and government as well as other stakeholders with an overview of the current status of open governmental data in Germany from a content-related, organisational, legal and technical perspective that demonstrates existing potential as well as the need for action in these areas.